So I’m sitting in the vet’s office, waiting for my dog, Lucy, who’s in the back getting an X-ray. (Don’t worry – she’s okay.) And they only have two magazines to read – Parents and Bark. Since I’m not a parent (well, not of a child, at least), I pick up Bark and start thumbing through it. It’s one of those content-light glossies crammed with pictures of cute dogs, the kind that make you say “Aw-w-w” right out loud. I get to an article called “A Dog’s Castle: Delightful Discovery in Doylestown,” and suddenly I’m interested enough to read more than the first paragraph. 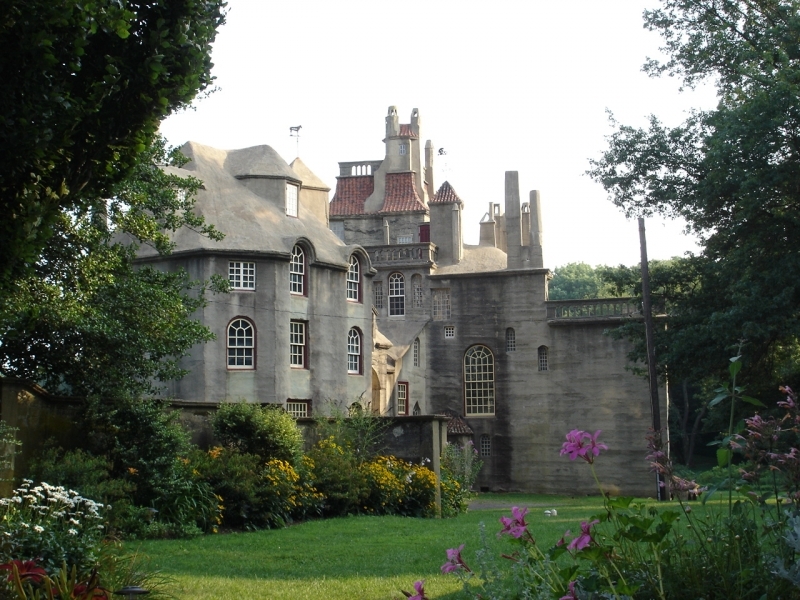 The story is about Henry Chapman Mercer (1856-1930), a rich guy who, in the 1910s, built a concrete castle for himself called Fonthill, which is today a big tourist draw in Doylestown. The author of the article talked about how cold the castle seemed to her, until she learned more about Mercer. 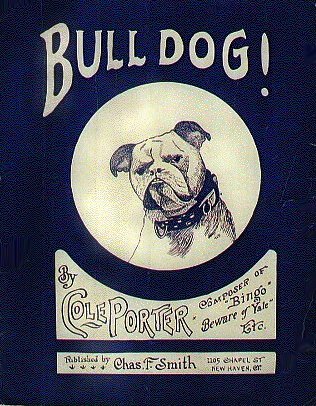 “He may have been a bachelor and an eccentric,” Sally Silverman wrote,” “but he also was an avid dog lover and advocate for all creatures.” That’s when my gaydar started going off, so I read on: “Mercer was a private man and destroyed much of the personal information that might have given historians a window into his life…” Ding ding ding ding ding! Fonthill is apparently something to see, with 44 rooms, 32 stairwells, 200 windows, and 18 fireplaces. It’s filled with pottery and tiles, which Mercer collected. It turns out that he was also an antiquarian and archaeologist, a founding member of the Bucks County Historical Society, and the founder of the Mercer Museum and the Moravian Tile Works, both also in Doylestown. When I got home from the vet, I tried to locate any source that suggested he was gay, but all I could find was a small reference to him in Will Fellows’ excellent book, A Passion to Preserve: Gay Men as Keepers of Culture. Mercer deserves more study by gay scholars, although probably much of what we would have found useful was in those files he destroyed (as did so many other queer personages of the past). 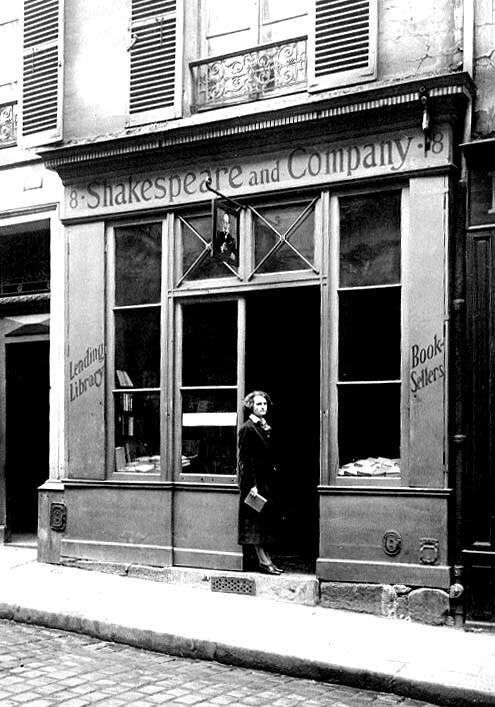 I did find a reference to his having come down with gonorrhea after a trip to Europe as a young man (and the suggestion that that was why he never married). If anyone has other information about Mercer, I’d love to hear about it. Here’s a cool story out of Kansas City, where the city’s museum is teaming with the county historical society and the University of Missouri-Kansas City library to begin collecting LGBT artifacts, documents, and oral histories. The new archive will fabulously be known as GLAMA – or Gay and Lesbian Archive of Mid-America. Check out this story about it in the most recent issue of CAMP, K.C.’s queer publication. If you have stories or items related to LGBT history of mid-America, contact Stuart Hinds of the UMKC Miller Nichols Library at hindss@umkc.edu. In looking through some old photos, I found one of me and my partner Katie in 1992, when we were newly a couple and took our first trip together, to visit friends in L.A. 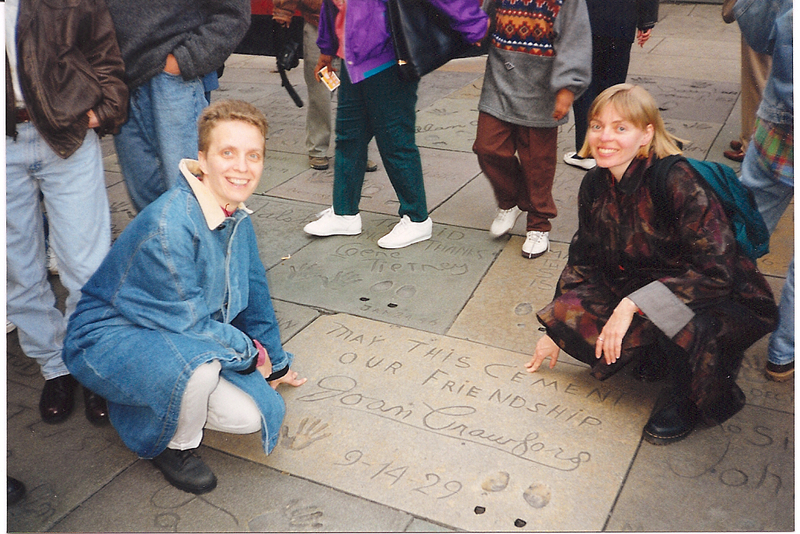 Apparently, I was crazy for queer sites even then, as my friend snapped a shot of us paying homage to the cement hand- and footprints of Joan Crawford in the famous forecourt of Grauman’s Chinese Theatre. Click here for a guide to other stars’ signatures at Grauman’s. 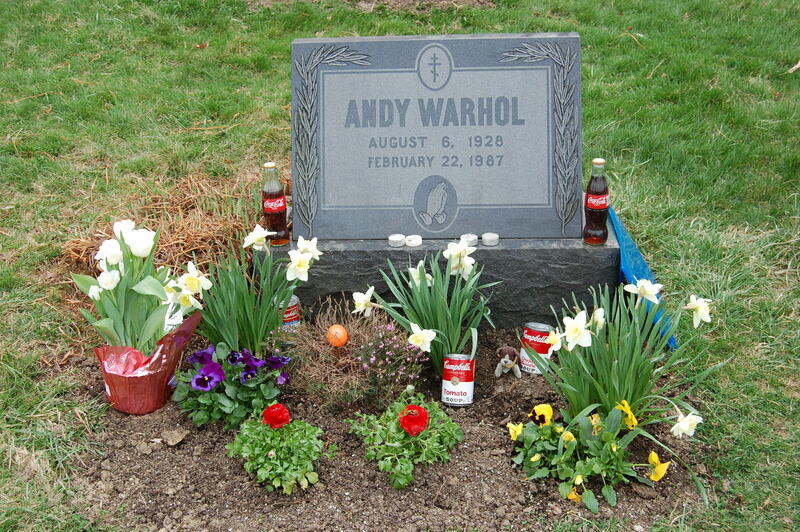 Thanks to Steven Reigns of The Gay Rub, I had enough materials to go out into the field yesterday and do a rubbing of artist Andy Warhol’s tombstone. If you missed my post about Steven’s project, click here. Directly behind me in the photo is the grave of Andy’s parents. And here’s what the decorations and mementos on Andy’s grave look like right now. In addition to the soup cans and Coke bottles, someone left an envelope of their writing at the side of the stone, and there’s a plastic egg for Easter, too. For more about Andy, see my earlier post.